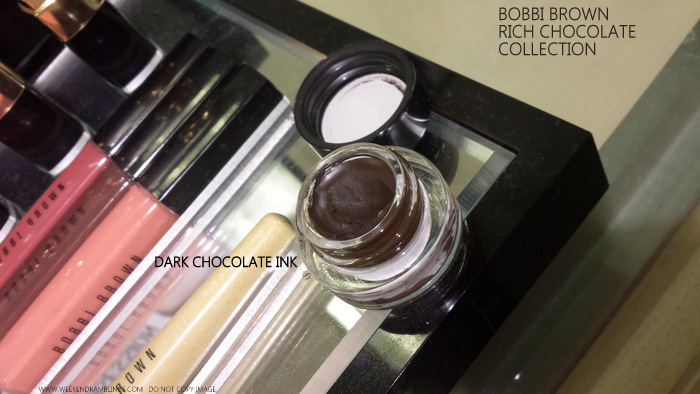 Bobbi Brown Rich Chocolate Makeup Collection available at Nordstrom (instore and online). Hi Kellie! Hmm...I wasn't particularly impressed with the eyeshadows (of course, I haven't used - only swatched). Specially, the two sparkle/shimmer shadows. They just won't show up at all - too sheer. The other colors might not be great for my skin tone, but if you have lighter skin tone, the palette might make a good option for neutral/everyday colors. 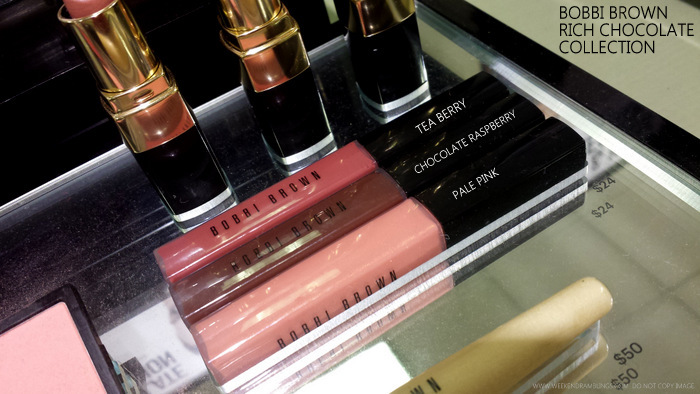 Overall, though, if I had to pick one, I would go for the Bobbi-Katie palette over this one. Thank you for your review and honest opinion. 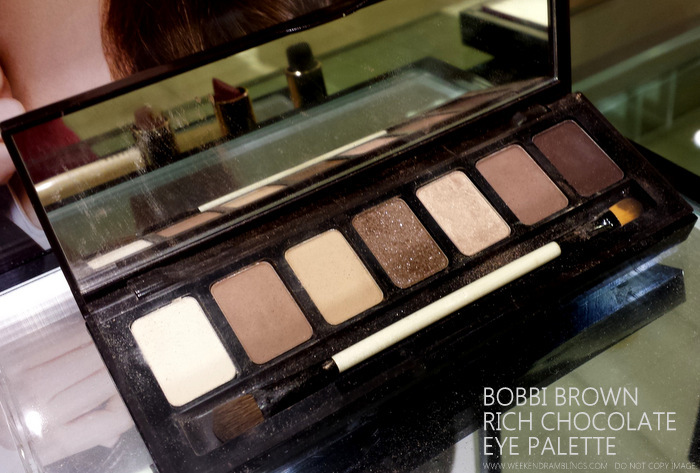 The eye palette looks lovely, but not for darker skintones and it's probably dupeable with better quality shadows. 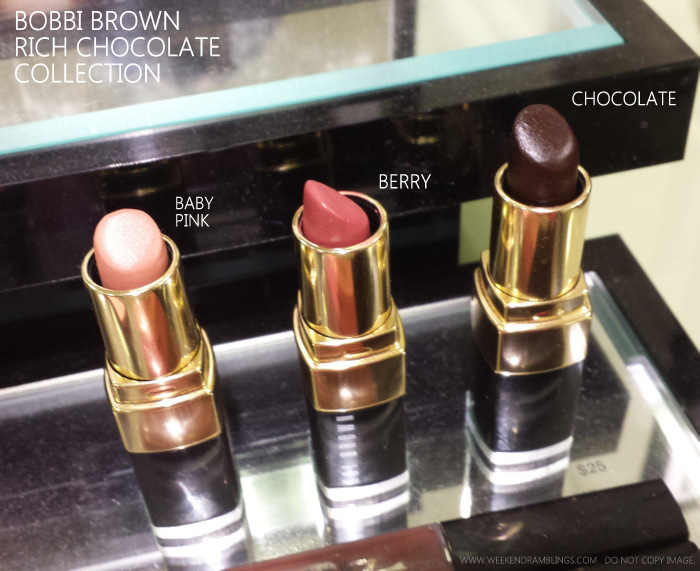 I'd like to check out some of the lipsticks and blushes. 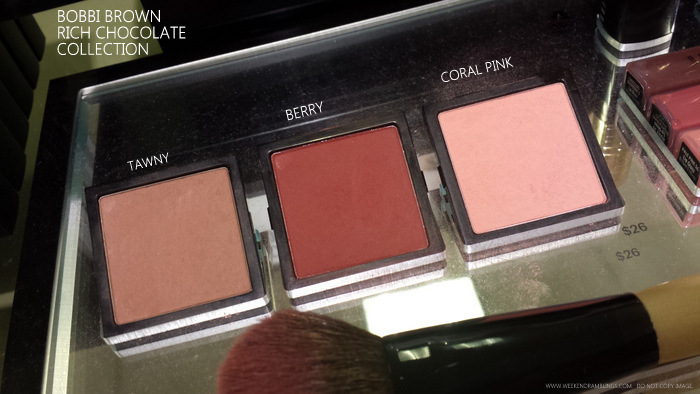 I like Berry and Tea Berry, and the blushes too. The eye shadows, not so much. Too light, and pretty cool toned. I expected more from this collection, given all the fuss around it. It's nothing great, IMO. 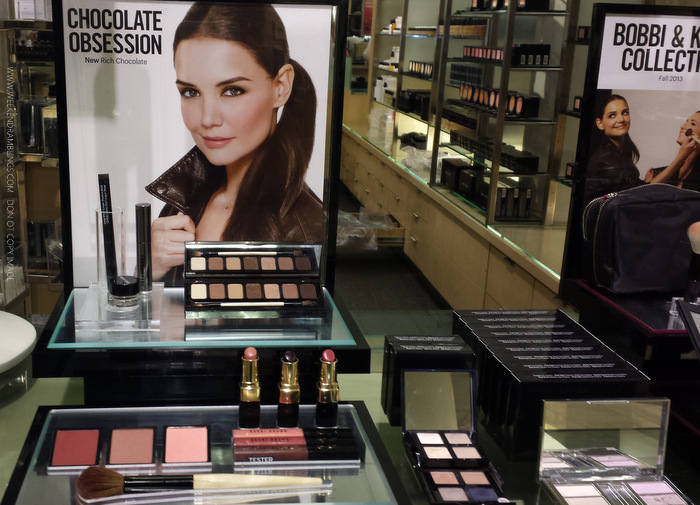 I'm more excited about the NARS LE palettes, dying to get my hands on them! I want both Fairy's Kiss and Ride Up To The Moon (greedy I know). I don't have any NARS products and I keep looking at them with grubby little hands (not to mention empty wallet). And with all the holiday palettes coming out (Urban Decay's coming out with a Shattered Palette and Vice 2!) I just can't make up my mind! Both are nice..I couldn't decide either :D Urban Decay's FB page had photos of the Vice 2 palette - there was a contest on I think till today to win one of the new products - and I think Temptalia will have swatches and photos soon. I saw that. I'm loving the look of the Shattered palette, and there's going to be new shades in the Vice 2 palette... sigh, I'm so torn. I wish I had about a million bucks to go on a shopping spree! 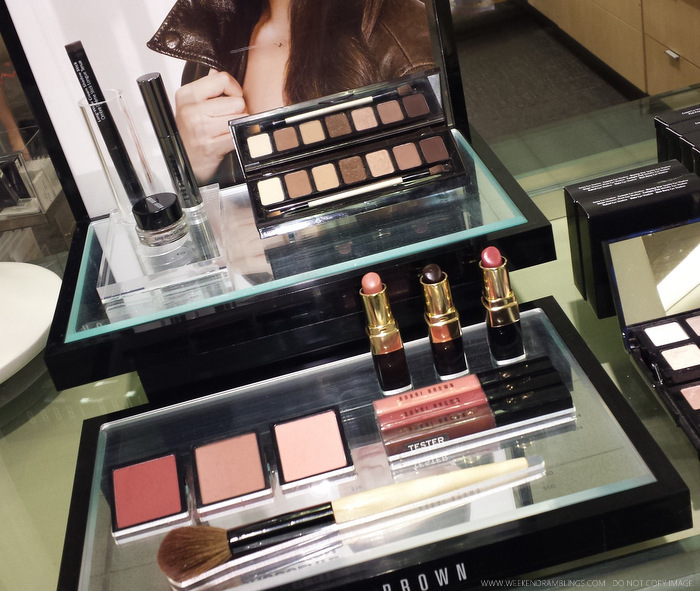 I want the pallet so much! How much does this cost in INR? ?